Will You Help Kids Become Kids Again? Help us reach our 2019 Walk goal!! Serving close to 1,500 campers each year with programs that build courage, foster hope and promote healing for children with cancer and their families. 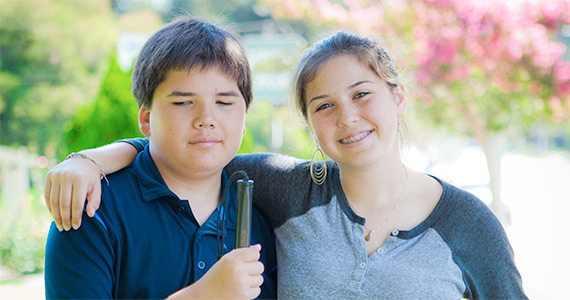 Learn more about how Camp Ronald McDonald for Good Times helps children and families. Ryan and his family have attended Camp since he was diagnosed with leukemia in 2007. Camp is for everyone, meaning Ryan's siblings, Teresa, Jasmine, Manny and Nicolas, were all able to attend with him. Read more about their story. 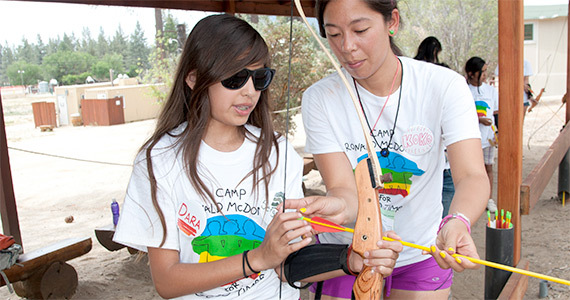 Camp allows children and their families the opportunity to have fun, peace, adventure and a chance to be themselves. Our volunteer Camp Staff is a widely diverse group of caring individuals. Learn more about helping children and families at Camp Ronald McDonald for Good Times! Each year, we rely on the expertise and talents of nearly 300 volunteers to deliver high quality, outcome driven programs. Our volunteer counselors come from all over the world and range in age from 19 to 70 years-old. Volunteers also lend support to events, facilities and our office. Learn how you can have an impact. Consider the beauty and serenity of our Camp Facility for your camp program, retreat, conference, or team building experience. Located in the San Jacinto Mountains of Riverside County, our site offers a variety of overnight, recreational and meeting accommodations for up to 200 people, including onsite catering. Camp Ronald McDonald for Good Times® creates a positive long-lasting impact on children with cancer and their families by providing fun-filled, medically supervised, cost-free, year-round camp programs.